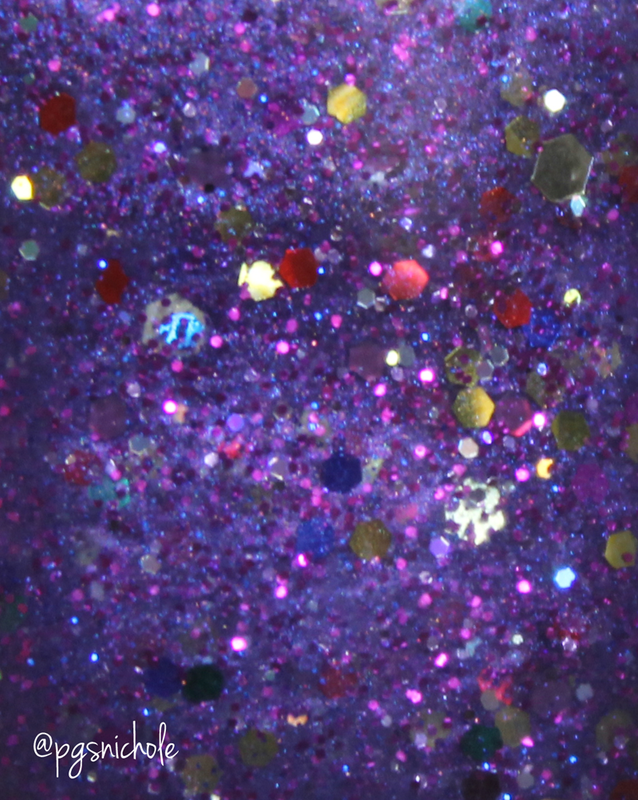 Just when you thought it was safe to browse the internet...more glittery goodness arrives! 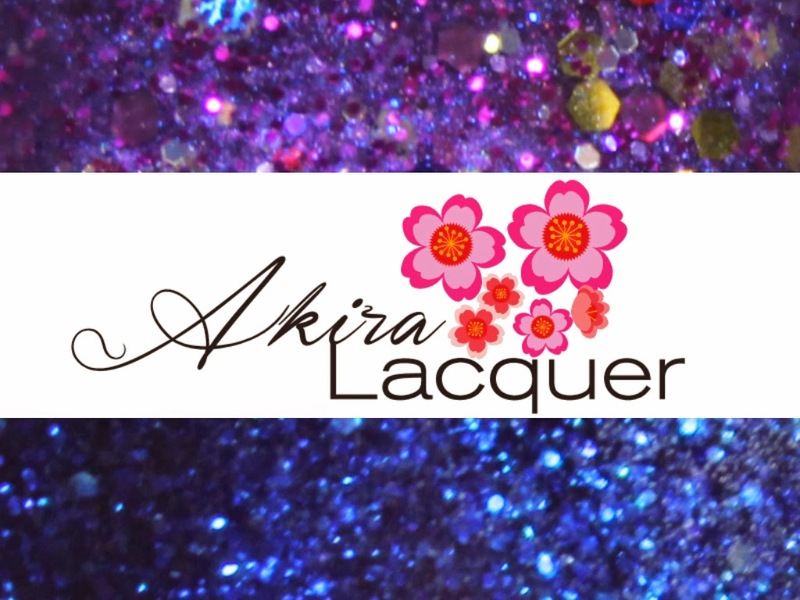 This time, it is from Akira Lacquer! She has pretty much mastered the glittery jelly polish thing, and we all benefit from that! What better way to start the new year than with some new polish? These two beauties are actually inspired by two stories. I love seeing polish inspired by a good story. I think it is the book nerd in me, I just can't help myself. I am one of those people who will read nearly anything. I just enjoy reading. The fact that I only have two bookcases in my house is a real pain for me these days. My kids need to grow up so I can turn their rooms into library-polish rooms. 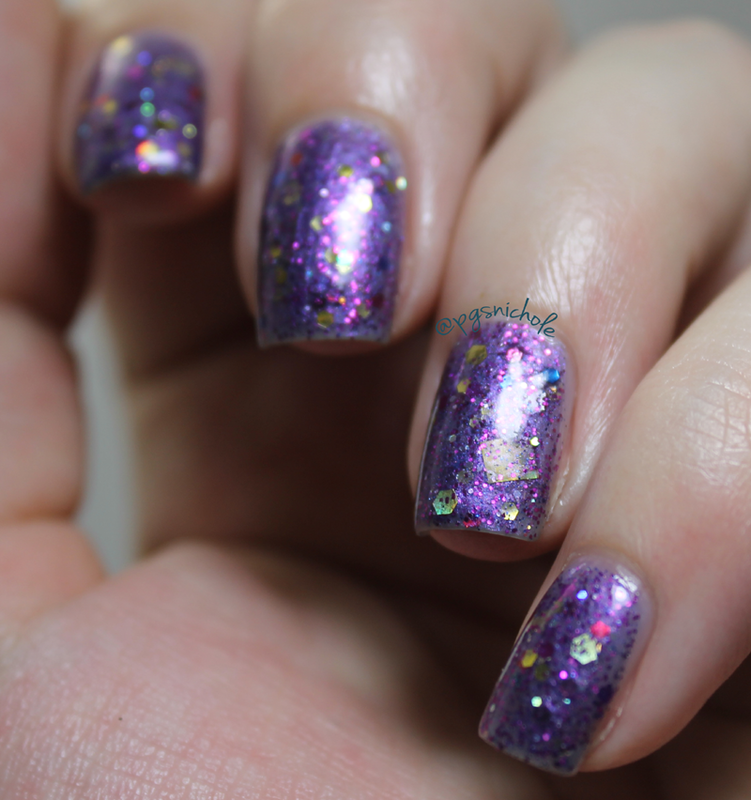 This one is a lovely, pearly purple jelly-cream packed with glitters. It has a slightly iridescent feel to it, and I love the big squares in the sunlight. I needed three thin coats to get the purple base completely opaque and thankfully only one layer of top coat to smooth things out. 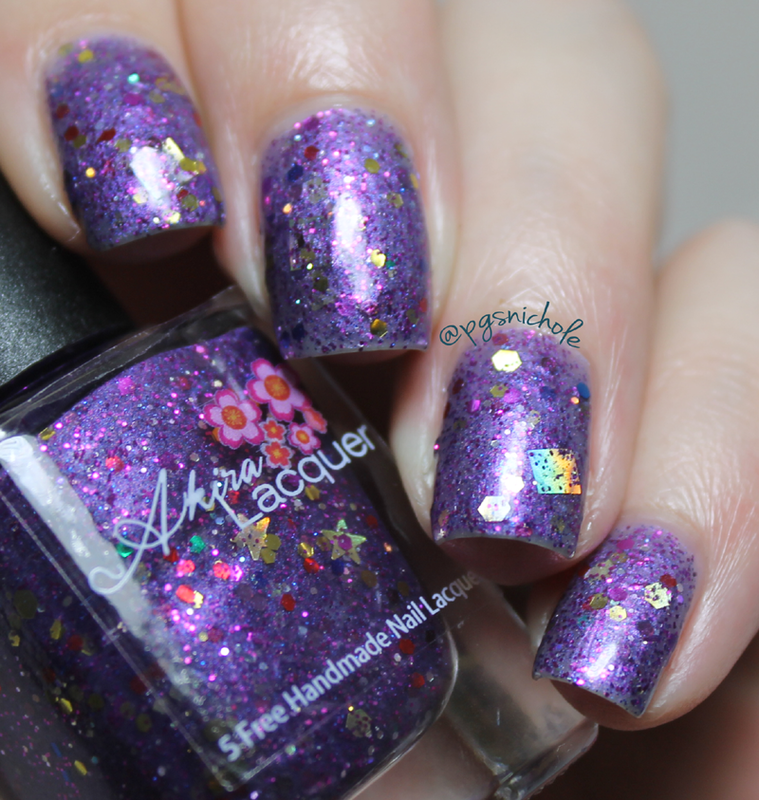 This polish was inspired by the book Witch Way is Up by John F. Allen. Ugh, you guys. I love this one. LOVE. Is my opinion on blues changing? Maybe 2015 is going to be my "Blue Period"? I dunno about that. 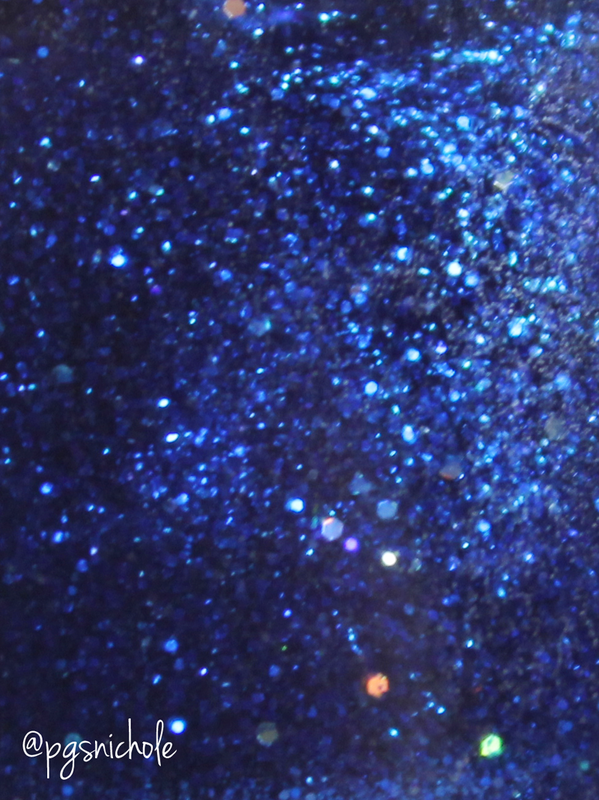 I do know that this cobalt jelly is so jammed with glitter that my camera had a bear of a time figuring out where to focus. Polishes like this is where Akira Lacquer generally excells. There is a perfect balance of glitter and and polish, with just enough of a tint in the base to let the glitter glow...but not so sheer that it needs more than three coats. I almost didn't even need a top coat for this beauty. This was inspired by a story written by RJ Sullivan. You can find out more here. I love Spellbound, looks great on you! thanks :D Its hard to go wrong with such great polish.